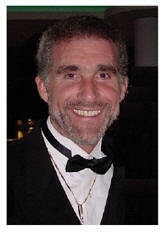 Dr. Horowitz is advancing Healthy World Organization (HWO), a natural alternative to the UN's World Health Organization. Information about HWO is available at: HealthyWorldOrganization.org. For more information about the dangers of flu vaccinations, see Dr. Horowitz's comprehensive website FLUscam.com. Dr. Horowitz endorses natural alternatives to vaccines including covalently-bonded silver hydrosols, alkalizing water, and vitamins C and D. See FLU "TO Dos" and OxySilver.com. It is impossible to tell what a man like Horowitz actually believes. He makes many outlandish claims that resonate with conspiracy-minded crowds. He believes that an international drug ring operating in New York is behind the origin of H1N1 swine flu, as well as behind its alleged prevention via vaccination. He, too, maintains that the aim is to decimate the population. These claims might appeal to others also ignorant of fundamental matters in physics. Nevertheless, Horowitz has his supporters. The Sovereign Orthodox Order of the Knights Hospitaller of St. John of Jerusalem honored Horowitz as a "Knight of Merit." Some people might even think Horowitz knows what he's talking about when he is selling "Dr. Horowitz's Immune Advantage." He says his capsules are derived from organic chickens and have "proven immune enhancing Transfer Factors (TF)" and "proven immune-enhancing properties." The capsules contain lactoferrin and alpha lipoic acid (which convert to cysteine), glutathione, beta glucan, mannan (Aloe), Maitake mushroom, and Reishi mushroom (trimethylglycine) for increased cellular oxygenation; Astragalus, Olive Leaf extract, and more. I think Andrew Weil sells the same thing, but he calls it the Weil Immune Support Formula. But all Weil claims is that his pills "may" support a healthy immune system. Horowitz claims his can extend your life. The reason Weil's claim is weaker than Horowitz's is that Weil responds when the FDA sends him a warning letter. The FDA warned Weil about making the following claim on his website: "...during the flu season, I suggest taking a daily antioxidant, multivitamin-mineral supplement [despite the evidence that to do so could aggravate cancer and reduce lifespan], as well as astragalus, a well-known immune-boosting herb that can help ward off colds and flu. You might also consider ... the Weil Immune Support Formula which contains both astragalus and immune-supportive polypore mushrooms." In response to the FDA, Weil issued a statement saying the website content "was primarily educational" about how to avoid the flu, and that he had directed his website team to remove and review it for compliance with federal rules. You are an incredibly powerful, wealthy, influential person who secretly grows wealthier due to conflict, destruction, disease, death and war. You have discovered that certain sound frequencies (those easily divisible by two, signifying opposition) create conflict, discord and disharmony, within the minds of whoever may listen to them; while those divisible by three (signifying balance, polity, reconciliation, harmony) produce symmetry, and visually harmonic, pleasing structures. At this point, I would not blame the reader for suspecting that Horowitz is not being completely forthright in listing the ingredients of the herbs and potions he sells. There seems to be some sort of mental fog that is released upon detoxifying and revitalizing the body with Horowitz's remedies. Apparently, the rest of us missed those history lessons that show how peaceful and happy humans were before 1939. In any case, this admirer who goes by the name of L C Vincent notes that Horowitz suggests that we change the standard frequency for the A above middle C to 444Hz. Both may have failed to notice that 444 is divisible by 2. It's also divisible by 3, 4, 6, 12, 222, and 444. So what, you say? Well, if you say that then you are demonstrating your ignorance of ancient wisdom. Wes Bateman was another advocate of the illuminati bad vibration conspiracy, but Bateman favored a primary tuning frequency of 424Hz based on his research into measurements of ruins he considered sacred, such as the pyramids of Egypt and Mexico. Brian T. Collins "examined the measuring systems and units of measure of ancient peoples from around the world. He favors A=432Hz...This tuning is said to be in harmony with the creative cosmic symphony of the universe. Ancient Egyptian and Greek musical instruments have been found which were tuned to A=432Hz, also divisible evenly by 3. "* Horowitz doesn't accuse Bateman or Collins (or others who might favor different frequencies when they vibrate) of being part of the banking/petrochemical/government/Big Pharma conspiracy, but he is sure they're wrong. [The] A=444Hz (C5=528Hz) frequency ... is most vividly displayed botanically [and] has been suppressed. That is, the “good vibrations” that the plant kingdom obviously broadcasts in its greenish-yellow display, remedial to emotional distress, social aggression, and more, has been musically censored. Thus, a musical revolution is needed to advance world health and peace, and has already begun with musicians retuning their instruments to perform optimally, impact audiences beneficially, and restore integrity to the performing arts and sciences. Music makers are thus urged to communicate and debate these facts, condemn the militarization of music that has been secretly administered, and retune instruments and voices to frequencies most sustaining and healing. According to Horowitz, A=440Hz conflicts with human chakras from the heart to the base of the spine, while chakras above the heart are stimulated, e.g., the ego and left-brain functions, which suppresses the "heart-mind intuition" and creative inspiration. I don't know if it was bad vibrations or too much OxySilver at 528Hz, but something significant seems to have suppressed Horowitz's crap detector and stimulated the destruction of important synapses among his brain cells. See also Antivaxxer Plague, Andrew Wakefield, the anti-vaccination movement, Russell Blaylock , detoxification therapies, flu vaccine, Barbara Loe Fisher, Jay Gordon, Rauni Kilde, Joseph Mercola, supplements, and Defending Falsehoods. Horowitz's self-aggrandizing biography page is a hoot He titles it: "The 'King David of Natural Healing' vs. The Goliath of 'Slash, Burn and Poison Medicine'" He notes that In 1999, he was voted "Author of the Year" by the World Natural Health Organization for Emerging Viruses: AIDS & Ebola—Nature, Accident or Intentional? The WNHO is a Christian anti-abortion organization with a multi-faceted agenda: global warming is a hoax, aspartame causes brain disorders, vaccines and genetically modified foods are dangerous, natural cures are the only cures, etc.